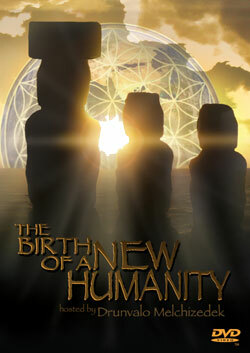 Drunvalo Melchizedek's "The Birth of a New Humanity" includes the first time shared information about the crystal consciousness grids that surround the Earth, mankind’s evolution out of Atlantis, their development globally by many cultures over the last 13,000 years, and the amazing science that has been discovered around the pyramids and temples worldwide that has even been presented to the United Nations. Also presented is the true story of one particular grid, often called "THE UNITY CONSCONSCIOUSNESS GRID", and how it has finally come to birth since February 2008. The birth of this new living consciousness grid is for certain, I believe, the most important story since Atlantis, and yet hardly anyone on Earth is aware that it has happened or what it means for humanity. What is happening in 2012 ? it would be great if you could offer the videos as 'audio only', or if you could open them in a different window to allow for faster data transfer. Thank you for sharing your /our journey with us and for the courage you had to follow spirit.